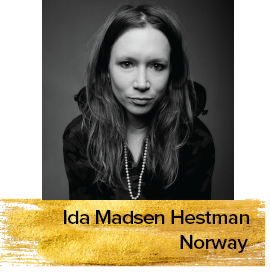 Ida Madsen Hestman is a film critic, music editor and cultural journalist from Norway with a master’s degree in Media Science from the University of Oslo. Ida has experience in both film and music fields and she is currently writing articles and critique for Norwegian daily press as a freelancer, and for the web-based film journal Montages. She is also working as a music editor for the cultural magazine Subjekt.